I thought since I am vacationing in the Mediterranean with my family for three weeks, I would post some new recipes that complemented my travels. When I return (if I ever return! ), I will definitely write up my itinerary and any do’s and don’t’s which I learned that might be helpful for your planning purposes. If you’ve hung around this blog long enough, you’ve read that Mediterranean food is my favorite. It’s my comfort zone. It’s exactly the way I like to eat – fresh, seasonal, organic food, mostly veggies, legumes and whole grains, olive oil, more fish than meat, a little sheep or goat cheese and yogurt,. Mediterranean cuisine is also considered to be among the most healthful in the world. More importantly, I think the food is just downright delicious, but simple. Of course in order for simple food to taste amazing, each ingredient has to be the best. This is where sometimes we have trouble duplicating something we’ve eaten, even if we have the exact recipe. For example, there’s no secret Greek salad recipe. I have made and eaten a lot of them in my life, some forgettable and some outstanding. It just comes down to the ingredients that were used. Chicken Souvlaki is an easy, light dinner I can pull together quickly and one that I know everyone will eat. It’s basically a grilled, marinated chicken and veggie kabob, which I love to serve with a very tasty cucumber-yogurt sauce called Tzatziki. My family likes to eat it with grilled pita bread (which is literally store-bought pita that I put on the grill just to get a few char marks) or garlic rice. 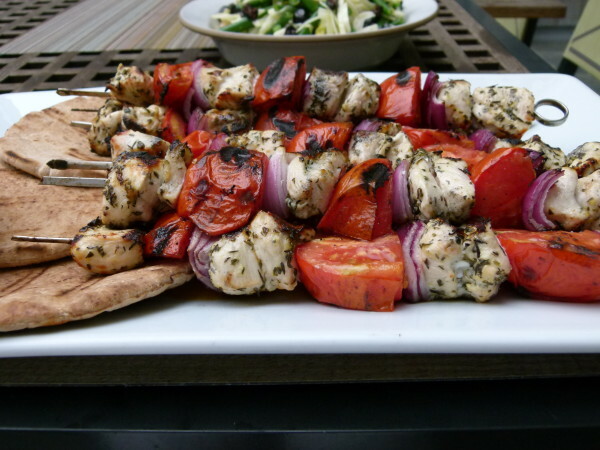 You can also serve the kabob over a Greek salad which would make for a great light summer dinner. Check out my recent Instagram and facebook pictures from Greece and Turkey. We will be finishing off our trip next week in Venice and then Lake Garda, so expect some Italian recipes soon! 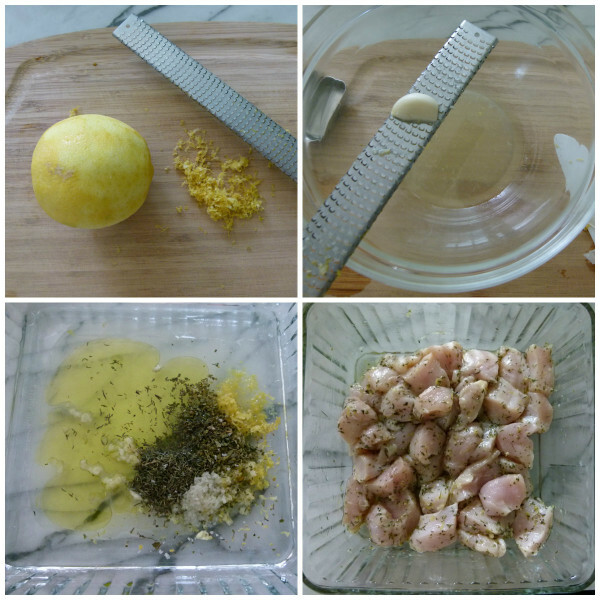 Whisk together lemon zest, 1 ½ Tablespoons lemon juice, 1 grated clove of garlic, oregano, thyme, 1 Tablespoon plus 1 teaspoon olive oil, and ½ teaspoon salt in a medium bowl. Add the chicken, and toss to coat. Marinate at room temperature for 45 minutes or refrigerated, covered, for up to 6 hours. 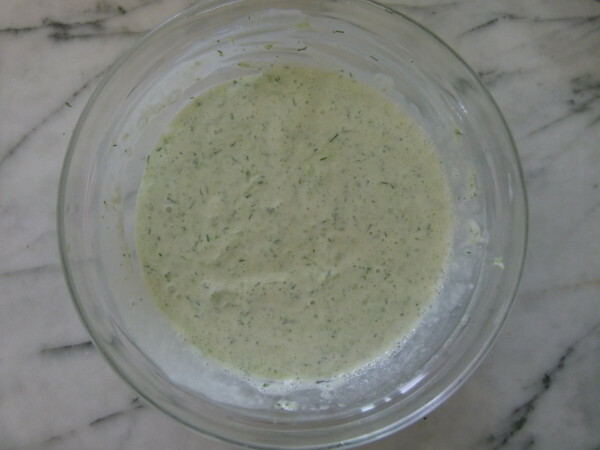 Meanwhile make the tzatziki sauce: Stir together the remaining lemon juice and garlic, the cucumber, yogurt, vinegar, herbs (if using) and ½ teaspoon salt. Refrigerate, covered, until ready to serve. Heat the grill to medium-high. 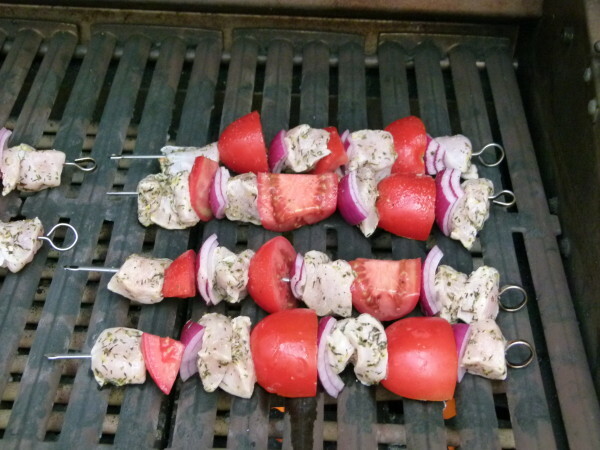 Thread the chicken, tomatoes, and onion onto 6 skewers. Brush with remaining 2 teaspoons olive oil, and season with pepper. Grill skewers, turning, until browned on all sides and cooked through, about 8 minutes. Grill pitas until charred, about 2 minutes per side. 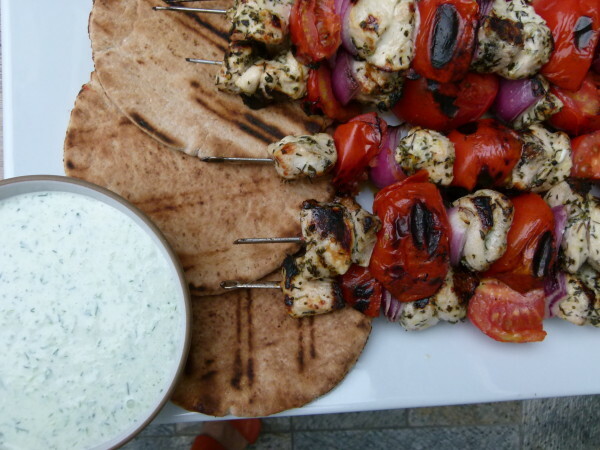 Serve skewers with charred pitas and tzatziki sauce. *Not all skewers are the same size. This recipe would probably make 8 9 ½-inch bamboo skewers. Made this tonight- my family loved it! Paired it with a Greek salad, roasted cauliflower, and pearl couscous. Thanks for yet another delicious, crowd pleasing meal. Perfect with Greek salad! Thanks, S! I made this chicken souvlaki last night and it was AMAZING. Moist, flavorful, easy to make and delicious. Oh, and I just put the skewers under the broiler for about 3 minutes a side. No grill to clean up afterward. Thank you Pamela for an awesome dinner idea yet again. Made this again tonight (thanks for the reminder!) added bell peppers for the kids. Key was to grill the pita bread/ Naan bread. Delicious and very Summery! !